Sweet & sassy! Red and black ladybugs on a paper-white background. 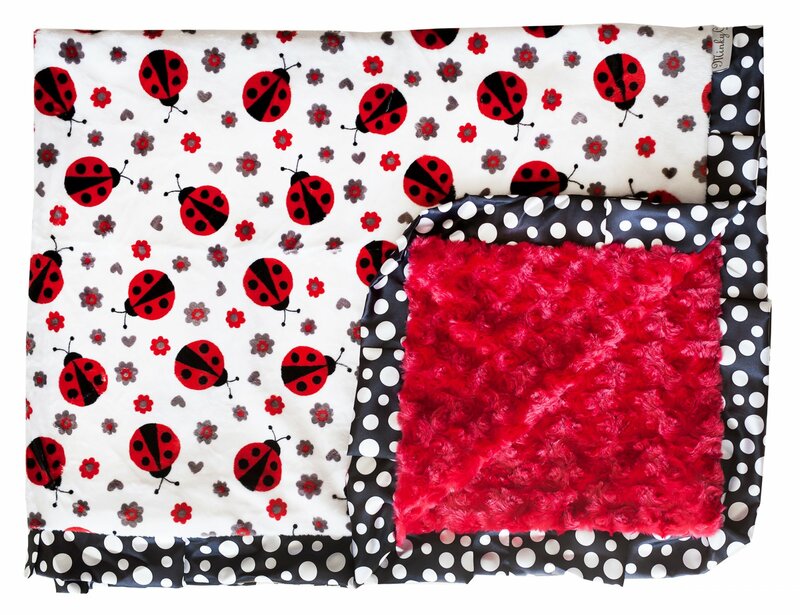 Red minky back with black and white polka dot ruffle.